Welcome to our web site! I'm Doctor Anthony Johnson BDS., FICOI. I am a 1989 graduate of the School of Dentistry, University of Ibadan. Nigeria’s premier university and the second dental school in Nigeria. I returned to Lagos for a one year internship at the General Hospital in Lagos. After a brief spell with the Foundation for International Self Help FISH Clinic in Kingston, Jamaica as an administrator of the dental clinic there, I proceeded to start my own private practice in 1994. After several didactic programmes and hands on courses I received the Fellowship of the International Congress of Oral Implantologists. 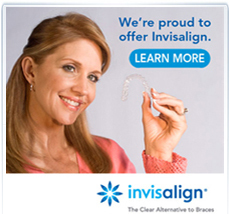 I have recently introduced Invisalign, Snap on Smile, Teeth Whitening and LUMINEERS into my practice. It has been my guiding principle to take this multi disciplinary approach into my practice of general dentistry. Therefore, I am able to offer my patients many services and procedures that would otherwise be referred to a specialist, and provide them in my office. The understanding of the interrelationships of periodontal treatment combined with prosthetic treatment to repair and replace lost teeth is a key concept to help my patients retain healthy teeth and gums for a life time. I am constantly taking continuing education to upgrade my skills and knowledge to bring our patients the latest in dental technology. 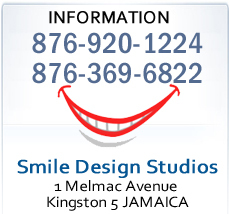 This is the reason we have the first CEREC system and the first certified Pinhole Surgical Technique trained Doctor in Jamaica. Our office also offers a variety of services including LUMINEERS (prepless veneers), Invisalign (the clear alternative to braces), LUMIBRITE Whitening, (Soft tissue laser)non surgical periodontal treatment, dental implant and its restoration, all ceramic crown restorations- Tooth in a day, one visit root canal, Short Term Orthodontics(Six Month Smile) and digital radiography. Additionally, I also offer to my patients a variety of cosmetic services for a complete smile make over. My philosophy is patient centered because each patient has a unique set of needs, concerns, and dental problems. It is my approach to reach out to my patients, give them personalized care, and to determine how best to help and resolve their dental issues. I want you to have a pleasant experience during dental treatment, and a satisfying post treatment result. At present I live in Kingston, JAMAICA and married with two children . I enjoy a variety of hobbies including football, Chess, computing, DIY and learning to play the piano. I am hoping to meet you soon and welcome you to our practice. Dr. Anthony Johnson BDS., FICOI.